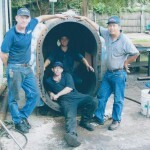 We offer trailer jetter machine sales & repair to those in and around Orlando, Florida. 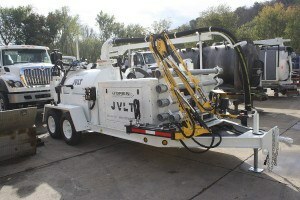 A jetter machine, which is also known as a water jetter, drain jetter, or sewer jetter, is a piece of equipment that clears out dirt, leaves, and any other debris that is clogging drains or pipes. It is very useful for plumbing companies, since it provides the option to use high water pressure to remove clogs, which can take the place of snaking or digging up and replacing pipes. It doesn’t always work for every clog, but it is a great option that is often more economical and easier to perform as a first attempt to clear a clogged drain or pipe. At Pat’s Pump & Blower, we offer trailer jetter machine sales & repair to those in and around Orlando, Florida. We work with both residential and commercial clients, so whether you have a small, personal jetter or a heavy-duty industrial-grade jetter, we can help. We have staff members with knowledge and experience in fixing a variety of different brands, and we are also a licensed reseller for some of the top jetter machines in the industry. You can choose from portable sewer jetters, if you are a company who needs to be able to take it to job sites, or a trailer jetter that is perfect for recreational vehicles. If you have questions about trailer jetter machine sales & repair, give us a call today. We have almost 30 years of experience with trailer jetter machine sales & repair, so we can answer your questions and help solve your plumbing and drain problems.